These aren't just concert performances. They're mostly gig, and part conversation. Hence the name. What you'll be coming to is a musical get-to-know-us experience. Each session will have singing, interaction, standing-around-chatting, imbibing, and each one will be completely different. Come and share a drink with The Idea of North after the singing bit is over (not literally, everyone will have their own glass). 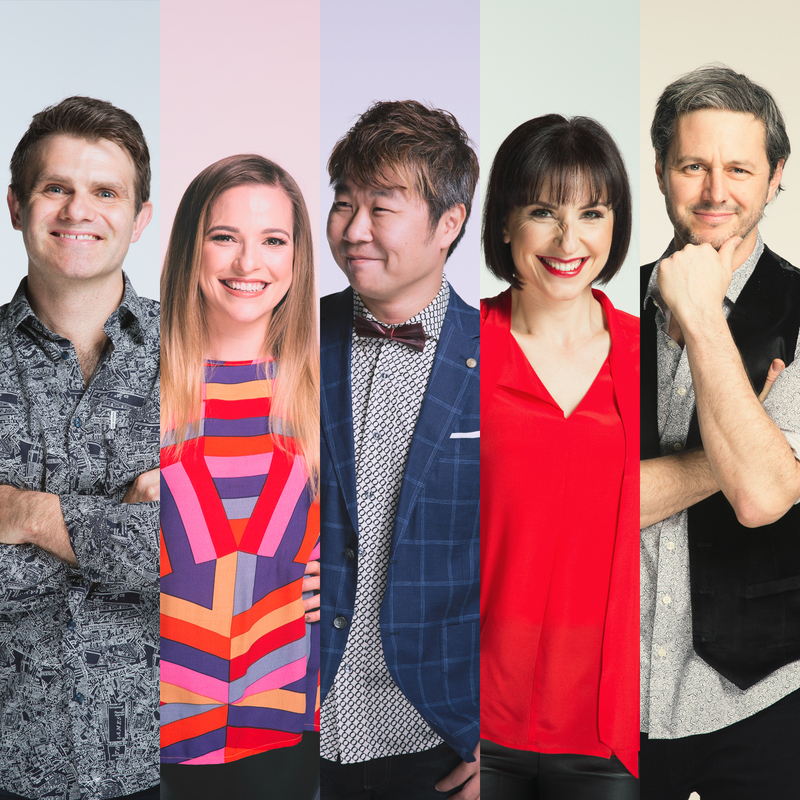 There will be a whole raft of music Adelaide hasn't yet heard, performed by Australia's best-loved a cappella quintet, featuring the super-human mouth drumming talents of Kai Kitamura, all the way from Tokyo. "Audiences have been treated to the vocal play of world-class a cappella outfit The Idea of North on many occasions over the years, but never quite like this" The Advertiser. The Idea of North is a quintet of musicians, serious about their music without taking themselves too seriously. Along with the incredible Kai Kitamura on vocal percussion, Australia's most highly awarded and best loved contemporary a cappella group retains its beautifully distinct sound and style, and explore many musical genres to great effect - exactly what you see and hear at a concert is difficult to describe, but we're certain it will stay with you for a long time (for all the right reasons).